These sweet and salty cookies are easy to make! Packed full of goodness, yet deliciously simple. 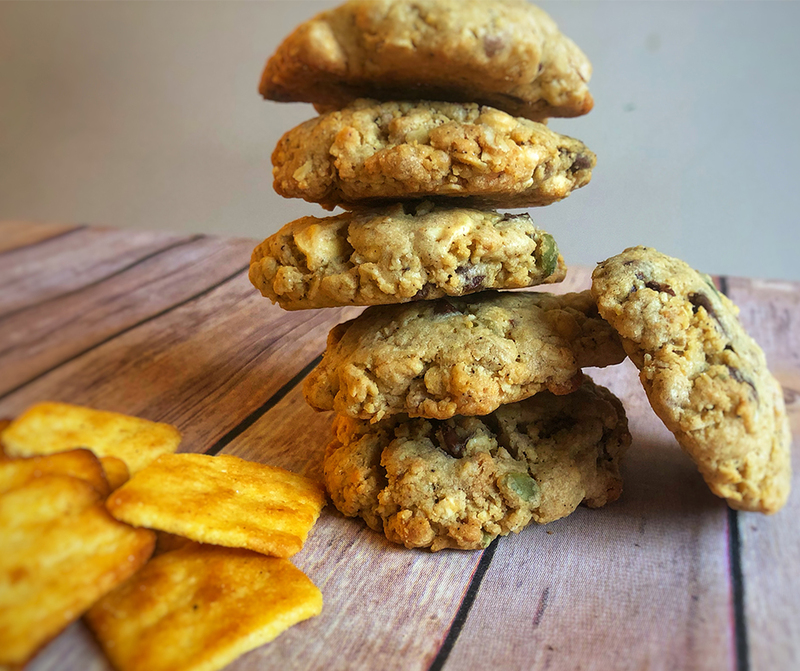 “Everything but the Kitchen Sink” COOKIES are made with yummy chips of all flavors, coffee, plus of course delicious Farmer’s Pantry Cornbread Crisps! But you can use whatever you have on hand. Pretzels, nuts, a variety of chocolate, or candy. In a large bowl, cream together butter and sugar until smooth. Beat in the eggs one at a time, then stir in the vanilla. Combine the flour and baking soda; stir into creamed mixture. 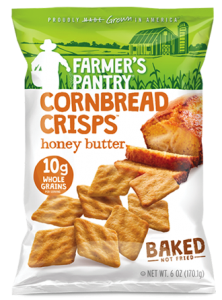 Mix in the oats, semi-sweet and white chocolate, and peanut butter chips, pumpkin seeds, instant coffee, and crushed Farmer’s Pantry Cornbread Crisps. Drop by tablespoonfuls onto ungreased cookie sheets. Cookies should be at least 2 inches apart. The sweet and savory goodness of honey butter and freshly baked cornbread.